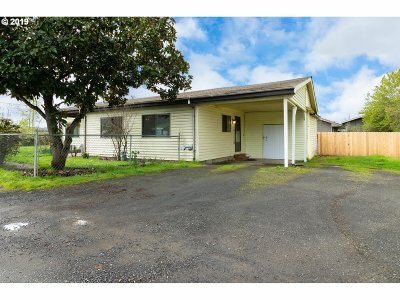 One level 3 bedroom home with fenced back yard and lots of parking for toys or RV on a corner lot! Recently remodeled including: kitchen, floors, walls, blinds, and cedar fence! Also features a large living room, covered deck, carport, storage shed and 15x13 "shop" with concrete floor. All for under 200K! !